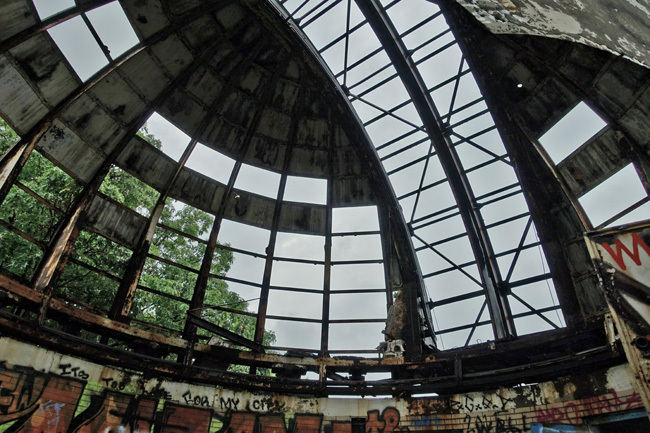 On a hilltop in East Cleveland lie the fascinating ruins of the century-old Warner and Swasey Observatory. 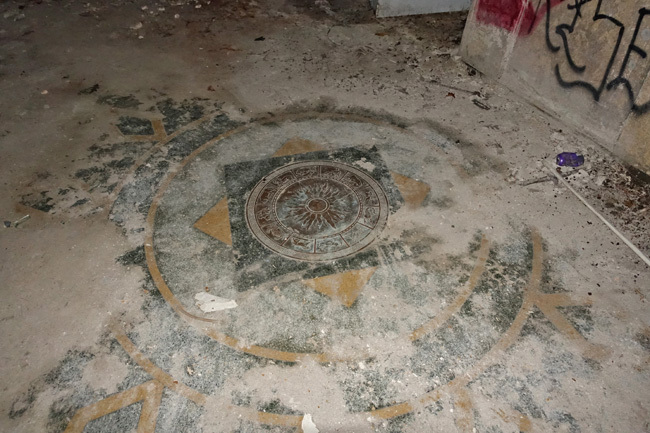 A half dozen miles from the massive industrial ruins of Warner & Swasey Company, which I explored in my last article, lies another abandoned piece of the Warner and Swasey legacy. 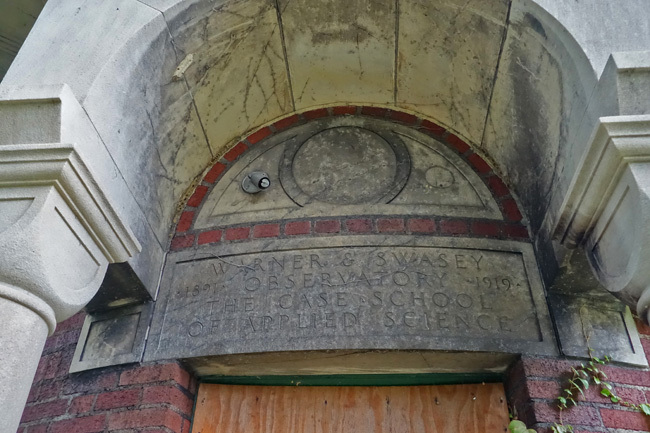 Worcester Reed Warner and Ambrose Swasey, both successful industrialists and amateur astronomers, built the observatory in 1894 for their own use. 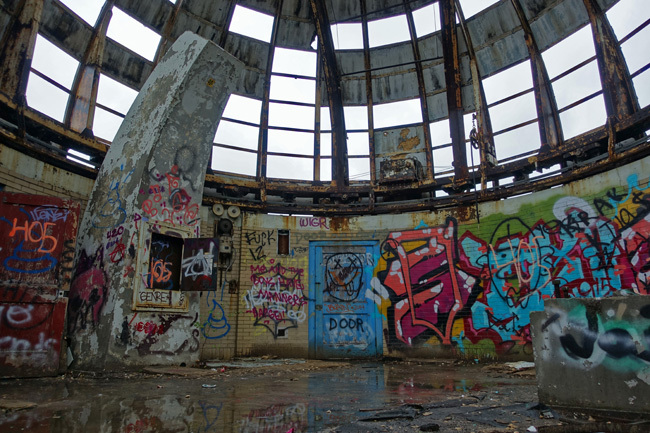 The original structure consisted of a single-domed tower and looked like something out of a storybook. 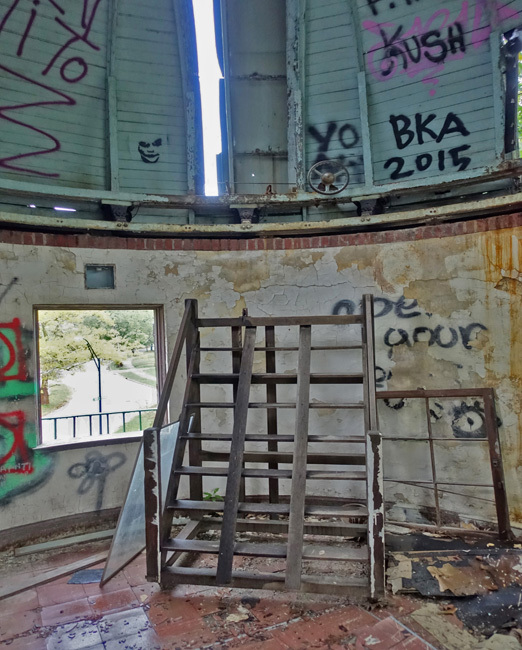 It housed a 9.5-inch refractor telescope. 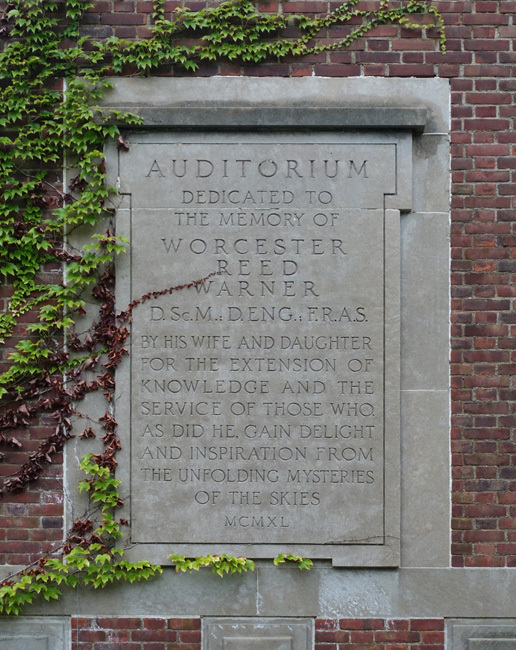 Warner and Swasey both served as trustees of the Case School of Applied Science and gifted the observatory to the school in 1919. 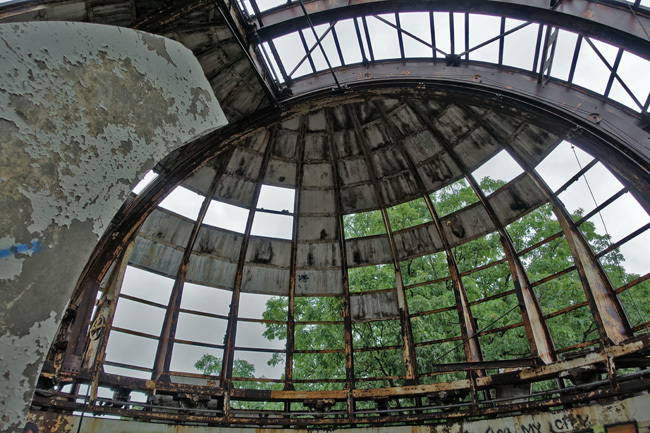 A second dome was built in 1941 to house the powerful new 24-inch Burrell Schmidt telescope. 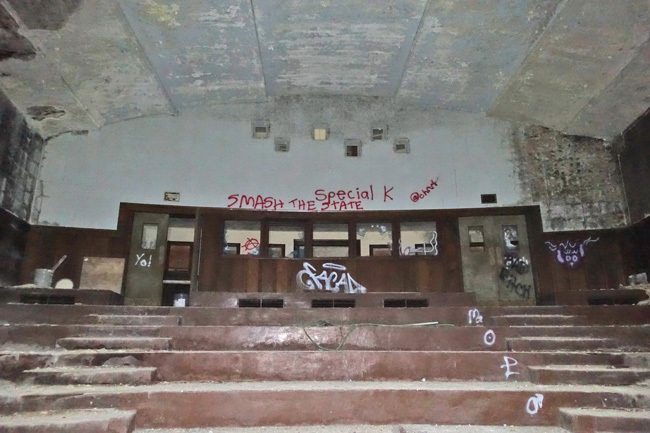 Sadly, the place is in very rough shape nowadays, with graffiti on just about every surface. The curved hallway in better times. Important studies were undertaken at the observatory in the early 1950s, demonstrating that the Milky Way is a spiral galaxy and that red giants are largely concentrated near the center of the galaxy. Light pollution from Cleveland became a problem in the 1950s. 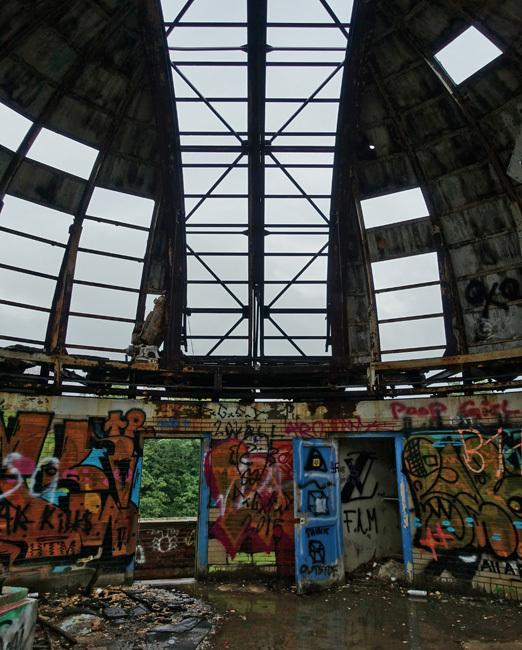 New facilities were constructed elsewhere and the telescopes were relocated. 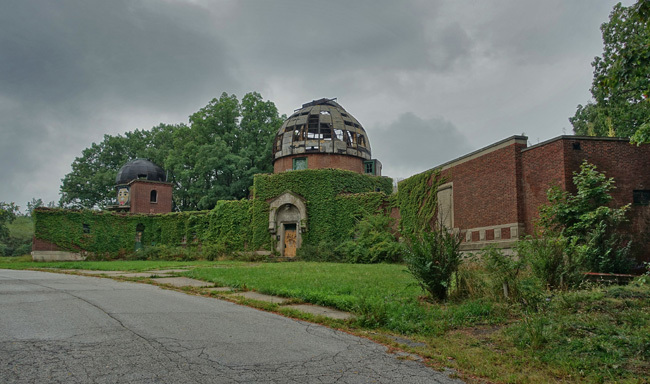 The observatory closed in 1982 and its staff moved to the main campus of Case Western Reserve University. The original telescope moved to the campus facility too. 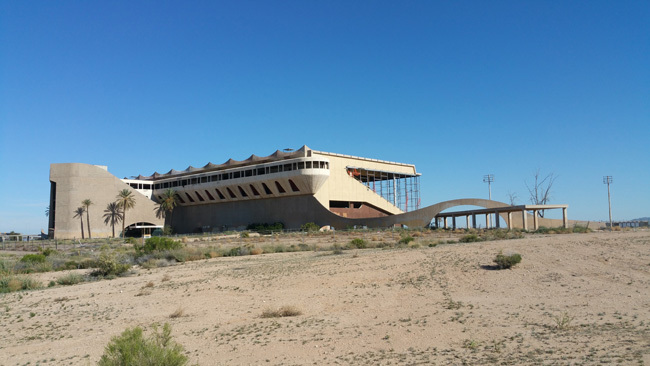 In 1986 a new dome was built on the roof of the A.W. Smith building where the old telescope is still in use today. 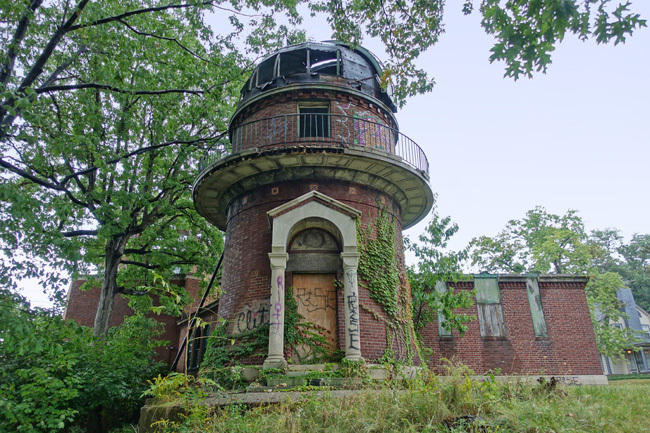 The old observatory was sold in 1983 and then abandoned. 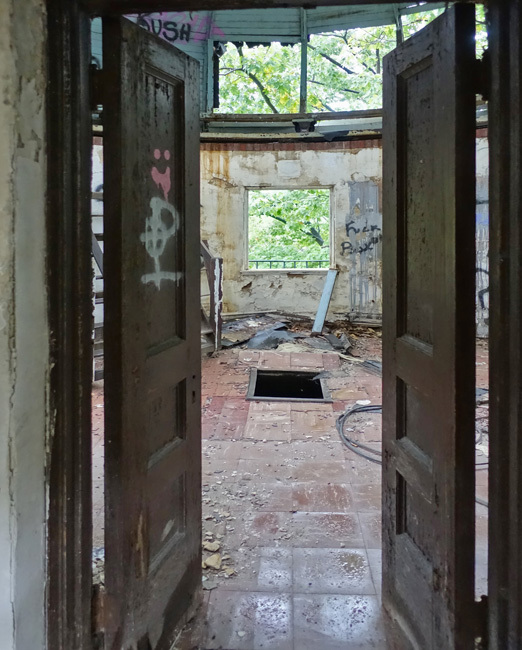 In 2005 a couple bought the property, intending to convert it into a luxury home. Those plans came to an abrupt end when the new owner was imprisoned for mortgage fraud in 2007. 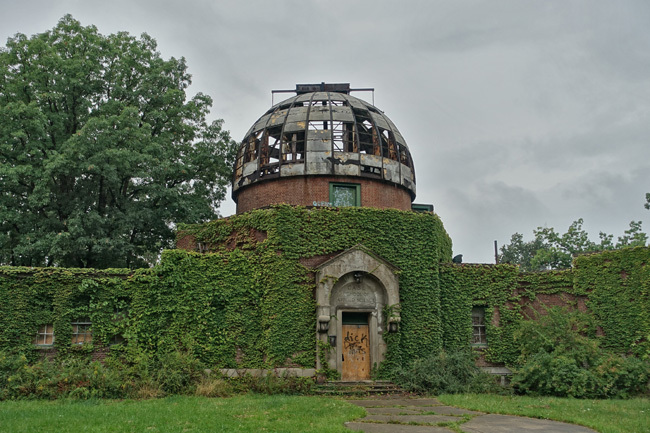 Though their observatory has become an abandoned ruin, Worcester Reed Warner and Ambrose Swasey have been immortalized for their contributions to astronomy. Craters on the moon have been named after each man and the 992 Swasey asteroid was named after Ambrose Swasey. Be sure to check out my next article on the massive abandoned industrial compound of The Cleveland Railway Co and Westinghouse Electric. To receive an email announcement when I post new articles please subscribe to Places That Were. Thank you so much, Strommy! 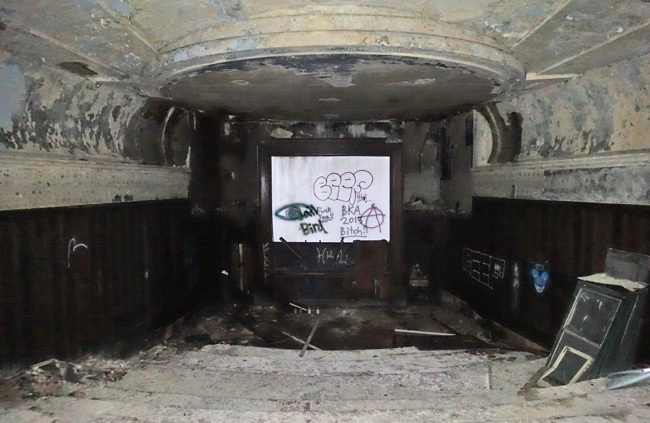 I was frustrated by all the graffiti. I don't mind it quite so much when it's artistic and done with a skilled hand, but all this mindless tagging is ridiculous. So cool! One of my favorite posts of yours, what with such unique history. Thanks as always for sharing. Thank you for following my posts! I'm glad you're enjoying them. Sorry they haven't been as frequent lately. Pretty soon I'll get to the Detroit part of the road trip. 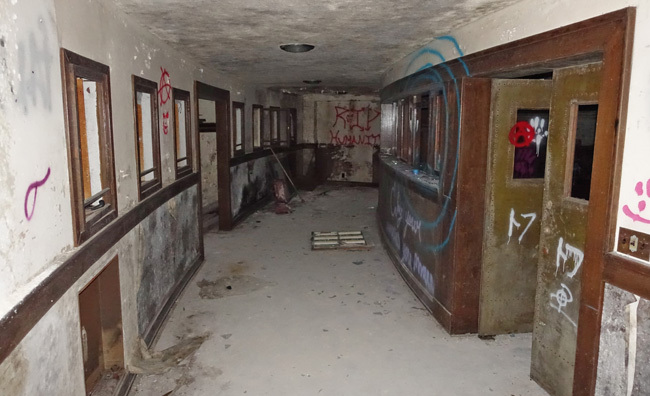 The number of abandoned buildings there is unbelievable. And so many interesting ones, especially the hospitals. Awesome posts! I love your pictures as well as the stories that go along with them! Keep 'em coming!! !